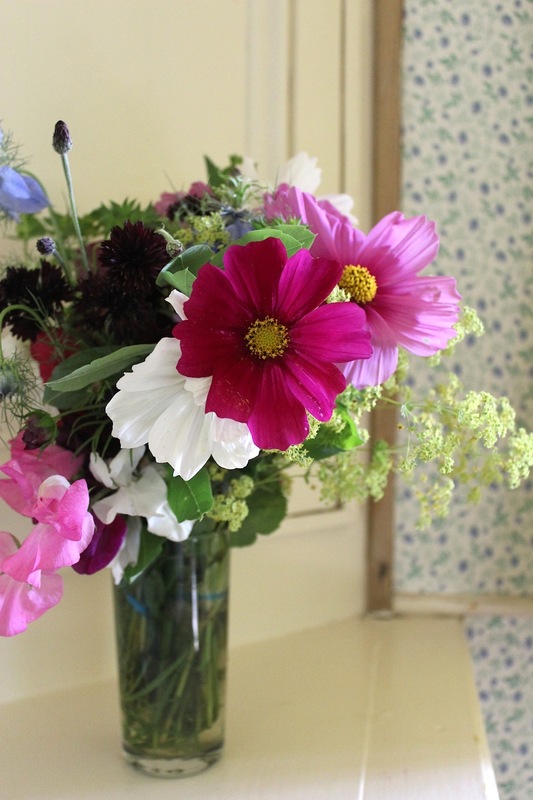 A jug of flowers today; including some beautiful cosmos and sweet peas. Staying at our wedding venue-to-be in Shropshire at the weekend, we found a jug like this in every apartment. They had been picked from the cutting garden.